Day 3: Dunas de Maspalomas | SMØRGÅSBORD! (Above) The sand dunes of Maspalomas, Gran Canaria. 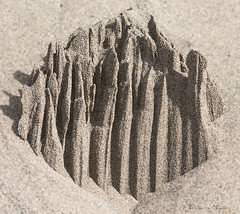 (Left) Sandcastle, one of the formations naturally sculpted by the wind. Previous PostRoller coaster second dayNext PostNow, that is UNFAIR…!